‘Independent’ regulator of solicitors reveals vested interests. 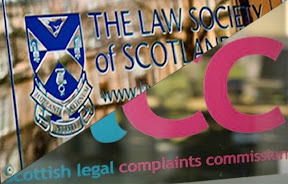 SOLICITORS, solicitors’ families, solicitors’ colleagues, solicitors’ friends, and possibly even solicitors pets - are the best placed solicitors to investigate rogue solicitors – according to the register of interests of the ‘independent’ regulator of solicitors - Scottish Legal Complaints Commission (SLCC). 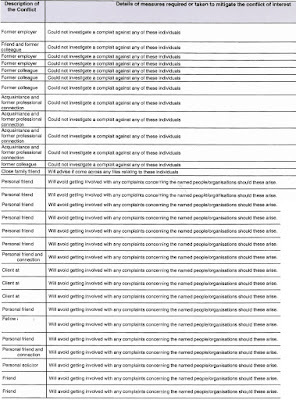 The latest register of interests released by the Scottish Legal Complaints Commission reveals many of it’s staff are, lawyers, former lawyers, friends of lawyers, family of lawyers, former business partners, former employees of the Law Society of Scotland and members of Law Society committees, and former members of other unidentified legal bodies with a vested interest. Impartiality is not a strong point of self regulation. And when it comes to self regulation of the legal profession, impartiality is, almost non existent. Six members of staff are currently on the roll of solicitors with the Law Society of Scotland, of which one member of staff holds a practising certificate. Seventeen members of staff have previously held positions in law firms in Scotland. Seven members of staff have previously held positions with the Law Society of Scotland. Ten members of staff have previously held positions with legal related bodies in Scotland. The SLCC also released their equivalent of staff recusals on investigations - a database of measures required, or taken to mitigate conflicts of interest. 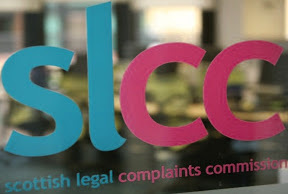 For consumers expecting a fair hearing by the SLCC of a complaint about a solicitor, the fact SLCC staff are having to recuse time & again in complaints investigations connected to law firms and the Law Society of Scotland makes grim reading.. Personal friend - Will avoid getting involved with any complaints concerning the named people/organisations should these arise. University and subsequent music activities - Will avoid getting involved with any complaints concerning the named people/organisations should these arise. Husband - Complaints involving the parties will not be allocated to her. Husband's stables - Complaints involving the parties will not be allocated to her. Client Relations partner was on Client Relations Committee I ran at Law Society - Will not investigate complaints instigated by or made against firms outlined. was a party to a mediation I managed at Edinburgh Sheriff Court - I have advised both and the practitioner that I will not be the mediator for this complaint. Traineeship with firm, still in contact, use as personal solicitors sometimes - Will not investigate complaints instigated by or made against firms outlined. Worked for this firm - Will not investigate complaints instigated by or made against firms outlined. Best friend works for this small firm - Will not investigate complaints instigated by or made against firms outlined. Was the convenor - of my Committee for 2 years as LSS - Will not investigate complaints instigated by or made against firms outlined. Was on my - Committee at LSS for 2 years and Convenor when required - Will not investigate complaints instigated by or made against firms outlined. 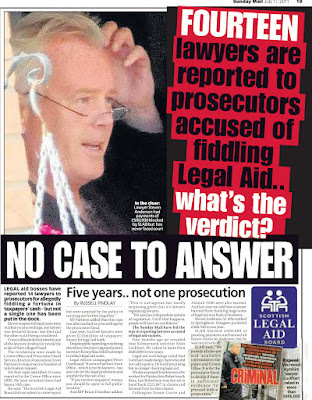 Still expecting a fair hearing at the Scottish Legal Complaints Commission ? 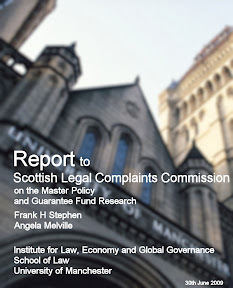 Well, now you have read how recusals work at the SLCC, those of you who are in the unenviable position of making a complaint to the Scottish Legal Complaints Commission now know to ask if investigators or staff dealing with your case have any conflicts of interest. You can then ask for the details of those conflicts – in writing - just to keep things even, and … you know … ‘independent’. 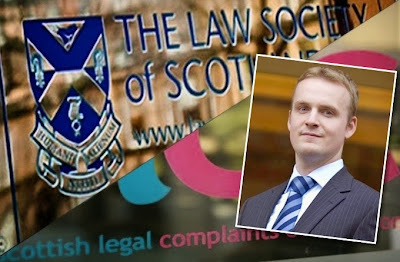 And, don't forget, earlier this year, the Scottish Legal Complaints Commission appointed a new Chief Executive – a former employee of eleven years with the Law Society of Scotland. Today, the SLCC still claim to be independent. Just, not very independent. 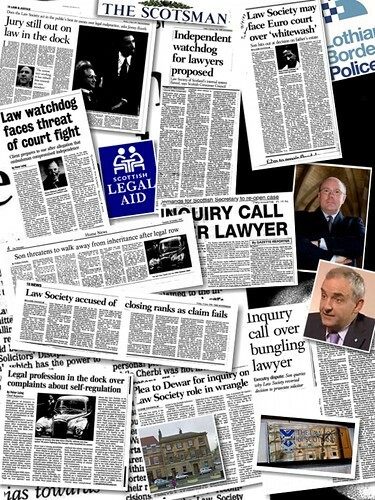 Scots judiciary require modern 21st century oversight. 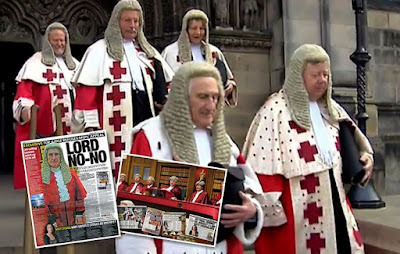 A DEGREE in quantum mechanics is not required to understand that the secretive closed world of Scotland’s all powerful judiciary requires a significantly greater level of transparency & accountability than the current antiquated set of rules and late night stag party sounding ‘oaths’ which loosely ‘govern’ the role of judges and their position at the top of Scotland’s justice system. Not least due to the fact these same ‘rules’ and ‘oaths’ the judges hold in such high regard - are - mostly written by themselves, and vested legal interests. 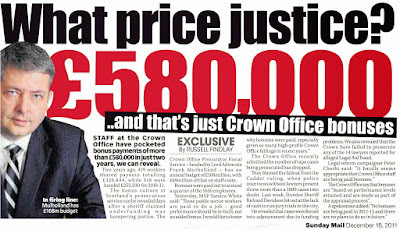 When a small group of the most powerful in society, who earn staggering publicly funded salaries plus perks & pension pots to rival any banking executive, fly the world at taxpayers expense with big business tagging along to gather contracts in the wake of ‘respectable figures from the bench’ - and, when questions are asked of their interests - these same figures cast aside our democratically elected Scottish Parliament in the name of serving their own interests – it is time for change. Not rocket science, right? We all get it. Except of course, the judges, and those who have a vested interest or ... something to hide. Transparency - Good. Vested Interests - Bad. Not a difficult equation. Certainly not one requiring a visit to a Physics laboratory. 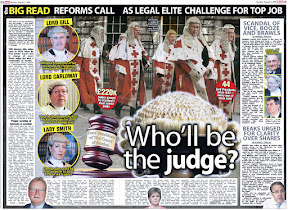 One judge alone has done more than most for promoting the need for judicial reform – Lord Brian Gill. 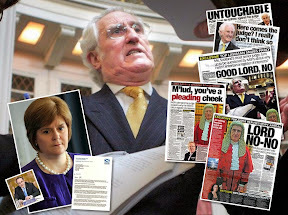 Gill (73) - who dodged Holyrood more often than a pigeon dodges a Peregrine Falcon – held such disdain for transparency, the political process, and the same expectations, rules and regulations which apply to all others in public life, he just could not bear to apply those same standards to the judiciary. The Lord President said so himself. Letter after letter to the Scottish Parliament. Threats, name calling, excuses, loopholes, blanking, it was all there, and in writing. Never before did a country’s top judge become so aggressive towards the public’s general expectation of transparency. And why? All because the judiciary were asked to disclose their interests. You know ... like everyone else. Time then, for the Scottish judiciary to be reminded they serve the wider community – the people. Scotland. Not vested interests, not themselves, not their friends, Scotland. The whole of. And, that with such unchecked power as the judiciary hold, comes the requirement for full transparency, and powerful oversight – without - of course - meddling vested legal interests. 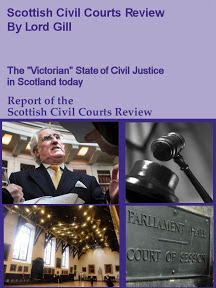 A good start for the Scottish Government would be ensuring the Judicial Complaints Reviewer (JCR) has full and substantive powers to investigate the judiciary to - at least - the same level of scrutiny already existing in England and Wales, where the Office for Judicial Complaints publishes details of upheld complaints and cases can be appealed to the Judicial Appointment and Conduct Ombudsman. And, don’t forget to register all your interests, M’Lords. NEW judicial complaints reviewer Gillian Thompson has given backing for register despite protests from Scotland's top judge, Lord Gill. A LEGAL watchdog who quit after supporting a register of interest for judges has been backed by the woman who replaced her. Moi Ali was appointed as the country’s first judicial complaints reviewer in 2011 but resigned last year claiming she had no power and got no co-operation from law chiefs. 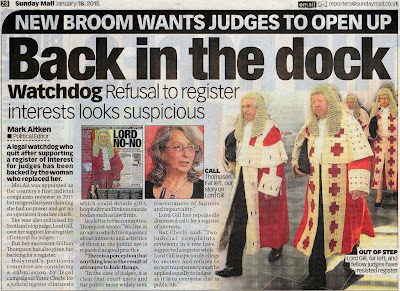 She was also criticised by Scotland’s top judge, Lord Gill, over her support for a register of interest for judges. But her successor Gillian Thompson has also given her backing for a register. Holyrood’s petitions committee are considering a submission by legal campaigner Peter Cherbi for a judicial register of interests which could details gifts, hospitality and links to outside bodies such as law firms. In a letter to the committee, Thompson wrote: “We live in an age in which transparency about interests and activities of those in the public eye is regarded as good practice. “There is a perception that anything less is the result of attempts to hide things. 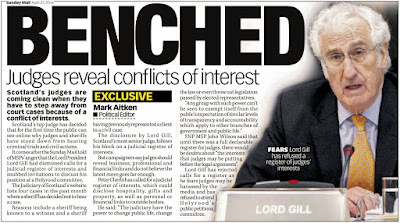 Lord Gill has repeatedly dismissed calls for a register of interests. 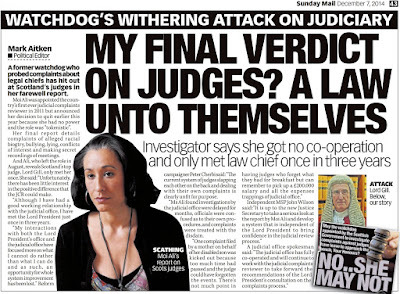 A former watchdog who probed complaints about legal chiefs has hit out at Scotland's judges in her farewell report. Moi Ali was appointed the country's first ever judicial complaints reviewer in 2011 but announced her decision to quit earlier this year because she had no power and the role was "tokenistic". Her final report details complaints of alleged racial bigotry, bullying, lying, conflicts of interest and making secret recordings of meetings. 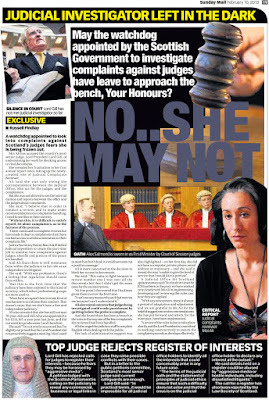 And Ali, who left the role in August, reveals Scotland's top judge, Lord Gill,only met her once. She said: "Unfortunately, there has been little interest in the positive difference that the JCR could make. "Although I have had a good working relationship with the judicial office, I have met the Lord President just once in three years. "My interactions with both the Lord President's office and the judicial office have focused more on what I cannot do rather than what I can do and as such, an opportunity for whole system improvement has been lost. Reform campaigner Peter Cherbi said: The current system of judges slapping each other on the back and dealing with their own complaints is clearly unfit for purpose. "Ms Ali found investigations by the judicial office were delayed for months, officials were confused as to their own procedures, and complaints were treated with the disdain. "One complaint filed by a mother on behalf of her disabled son was kicked out because too much time had passed and the judge could have forgotten the events. 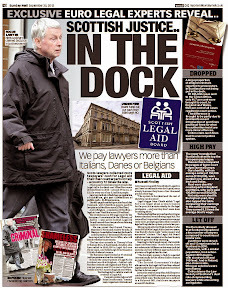 There's not much point in having judges who forget what they had for breakfast but can remember to pick up a £200,000 salary and all the expenses trappings of judicial office." Independent MSP John Wilson said:"It is up to the new justice Secretary to take a serious look at the report by Moi Ali and develop a system that is independent of the Lord President to bring confidence in the judicial review process." A judicial office spokesman said: "The judicial office has fully co-operated and will continue to work with the judicial complaints reviewer to take forward the recommendations of the Lord President's consultation on the complaints process. TWO of Scotland's key legal bodies have clashed over an investigation into a member of the judiciary. 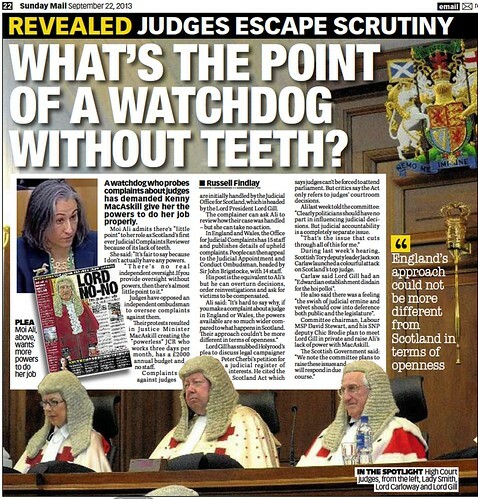 The fight is between the Judicial Office for Scotland (JOS) - headed by the country's top judge - and the watchdog responsible for holding it to account. The legal watchdog attacked the JOS for its handling of a probe into claims a judicial office-holder was guilty of bullying and of making covert recordings. Complaints against judges, ­sheriffs and justices of the peace are handled by the JOS, which provides support to the Lord President. The investigations are carried out by fellow members of the judiciary. If a complainant is still unhappy, the Judicial Complaints Reviewer (JCR) can examine whether the probe complied with the rules. Moi Ali, who recently stood down as the JCR after saying she did not have adequate powers, published her final annual report last week. She produced details of an extraordinary case in which the JOS dealt with allegations of impropriety by a judicial office-holder. An unnamed organisation that "works closely with the courts" complained of bullying by a member of the judiciary, adding that the same figure had made secret recordings. The organisation was not satisfied with the JOS probe into the case and contacted Ali. 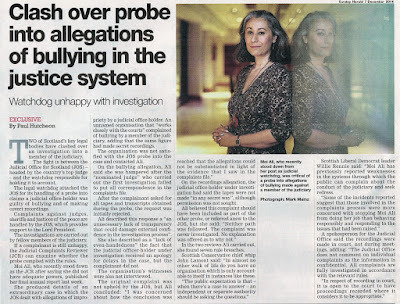 On the bullying allegation, Ali said she was hampered after the "nominated judge" who carried out the first investigation failed to put all correspondence in the complaints file. After the complainant asked for all tapes and transcripts obtained during the probe, the request was initially rejected. Ali described this response a "an unnecessary lack of transparency that could damage external confidence in the investigation process". She also described as a "lack of even-handedness" the fact that the judicial officer-holder under investigation received an ­apology for delays in the case, but the complainant did not. The organisation's witnesses were also not interviewed. The original complaint was not upheld by the JOS, but Ali concluded: "I was concerned about how the conclusion was reached that the allegations could not be substantiated in light of the evidence that I saw in the complaints file." On the recordings allegation, the judicial office-holder under investigation had said the tapes were not made "in any secret way", although permission was not sought. Ali believed this complaint should have been included as part of the other probe, or referred anew to the JOS, but she said: "Neither path was followed. The complaint was never investigated. No explanation was offered as to why not." In the two reviews Ali carried out, she found seven rule breaches. 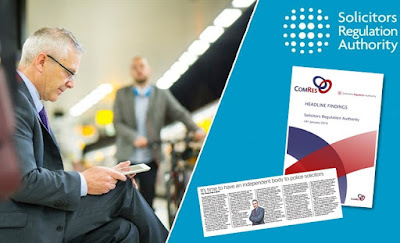 Scottish Conservative chief whip John Lamont said: "In almost no other walk of life do you have an organisation which is only accountable to itself in instances like these. "The public expectation is that - when there's a case to answer - an independent or separate authority should be asking the questions." Scottish Liberal Democrat leader Willie Rennie said: "Moi Ali has previously reported weaknesses in the systems through which the public can complain about the conduct of the judiciary and seek redress. "Some of the incidents reported suggest that those involved in the complaints process were more concerned with stopping Moi Ali from doing her job than behaving responsibly and responding to the issues that had been raised." A spokesperson for the ­Judicial Office said the recordings were made in court, not during meetings, adding: "The Judicial Office does not comment on individual complaints as the information is confidential. All complaints are fully investigated in accordance with the relevant rules. "In respect of recording in court, it is open to the court to have proceedings recorded where it considers it to be appropriate." SCOTLAND'S legal watchdog tasked with holding judges to account is to stand down after complaining that she has "no power to make things different and better". Moi Ali, the country's first Judicial Complaints Reviewer (JCR), will not seek a second term because she believes her post is "tokenism". The JCR post was created by the Scottish Government to introduce an element of independence in the system of self-regulation for scrutinising judges. However, Ali's role is restricted to looking at whether the Judicial Office for Scotland (JOS) - the in-house body led by the Lord President - has dealt with complaints correctly. She cannot investigate complaints against judges herself and is unable to make recommendations. Ali, who took office in 2011, also works on a tiny budget of around £2000, whereas a beefed-up Ombudsman south of the border has nearly £500,000. In an interview with the Sunday Herald last year, Ali said she had found the job "enormously frustrating and difficult", adding: "Fundamentally the problem is the legislation ... it's judges judging judges' conduct. "I'm presented as the independent element, but without the powers I can't be independent." She added: "Really, it's difficult to make an impact within the constraints that I'm in at the moment. It's a bit like being in a straitjacket." Ali also claimed Scotland was lagging behind England in holding judges to account, claiming: "Citizens here have a lot less protection than they do in England and Wales." The JCR has also encountered difficulties with the JOS and claimed the post amounted to "window dressing". The Sunday Herald has learned that Ali, whose term ends in August, will not seek an extended period in office, where she could have served five years. She wrote to Justice Secretary Kenny MacAskill before Christmas to inform him of her decision. MacAskill will have to find a new JCR, an appointment that must be made "with the consent" of the Lord President. In her latest annual report, she found 20 breaches of the rules by the JOS last year. Ali said: "I believe that I've been able to make a difference, albeit in a small way - which is not only personally satisfying, but important for the people who use my service. Ultimately, that's what it's all about. "I feel that I have achieved all that I can within the constraints of legislation that has created a JCR role that has independence without the power to change anything. "I can freely comment, criticise, persuade, suggest, speak out - but I have no power to make things different and better. "Without the ability to implement change, the role feels tokenistic and I've never been one to go along with tokenism." Graeme Pearson, Scottish Labour's justice spokesman and a former top police officer, said: "Moi Ali accepted an important responsibility and was keen to do the job. "She should have been supported and encouraged - instead her role developed as an unwitting sop for this SNP Government at a time our justice system requires genuine openness and accountability. She and the Scottish public deserved better." Liberal Democrat MSP Alison McInnes said: "The Justice Secretary asked Ms Ali to do a job and then point-blank refused to give her the support and resources she needed to deliver. This is simply not good enough. "Moi Ali's frustration over the lack of support she has received from ministers is wholly understandable. Her decision to stand down is an indictment of the lacklustre approach to transparency that the Justice Secretary has taken." A Scottish Government spokeswoman said: "We do not comment on personnel issues. We thank Ms Ali for the work she has done in her post to date." MOI ALI, the country's first ever Judicial Complaints Reviewer, says she is currently powerless to do more to help the public understand the complex legal complaints system. KENNY MacASKILL has been urged to get tough with Scotland’s judges after a watchdog warned they are stifling complaints and dodging scrutiny. 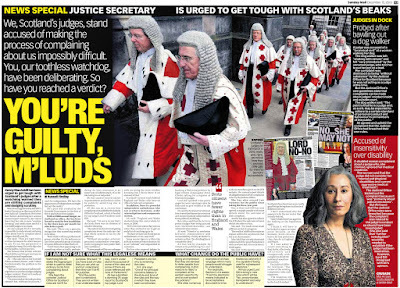 Moi Ali was appointed by the SNP’s Justice Secretary as the country’s first ever Judicial Complaints Reviewer but, before delivering her second annual report tomorrow, she voiced fears that her role is mere “window dressing” and needs more teeth if it is to hold judges to account. She believes that former solicitor MacAskill must bring in new laws to end judicial self-regulation. Ali’s post was created by the Scottish Government in the face of fierce opposition from judges. With a ￡2000 annual budget, no staff and no office, she has been forced to work for free in addition to the three days per month for which she is paid. Ali has caused consternation in government and judicial circles by publicly admitting she is powerless. 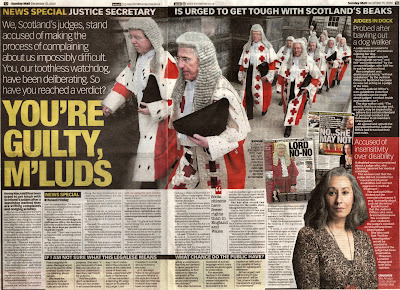 All she can do is review how complaints are handled by the Judicial Office for Scotland, which is headed by top judge Lord President Lord Gill. 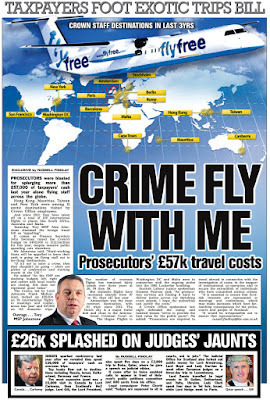 Scotland’s system trails behind England and Wales, who have an Office for Judicial Complaints. In addition, there is a powerful independent ombudsman who can overturn decisions, order reinvestigations and compensate victims. Some senior figures within the judicial system privately dismiss Ali as an “outsider” and unqualified to comment. She has also angered judges by backing a Holyrood petition by legal reform campaigner Peter Cherbi calling for a register of interests for judges. Lord Gill sparked cross-party anger by twice rejecting a plea by Holyrood to give evidence to the committee. He said the Scotland Act allowed him to avoid parliamentary scrutiny as it ensures judicial independence from political meddling. But critics said that the Act is to protect judges from being quizzed over courtroom decisions not administration issues. Ali has led by example by voluntarily publishing her own register of interests, even though it took six months to get it on the JCR website. Her annual report details 20 alleged breaches of the complaints rules by the Judicial Office. She has also scored two victories for the public since taking the three-year post. their complaint. And he has also agreed to inform the JCR about the outcome of cases which she refers to him. 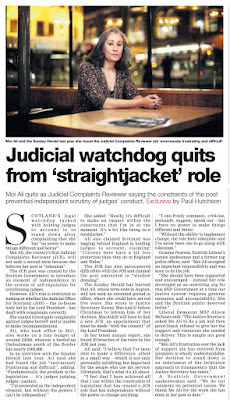 MacAskill has already dismissed calls to tackle the powerful judiciary with new laws but Ali wants him to think again. A judge was accused of a "tyrannical rant" at a woman walking her dog. The dog walker was left "shaking with nerves" and felt "very intimidated" by the unnamed judge, who told her to put her pet on a lead. Her complaint was dismissed as being "without substance" by the Judicial Office for Scotland because he was not acting as a judge at the time. But the Judicial Office's own guidelines state that complaints can be made about judges' conduct inside and outside court. The dog walker said ; "The point is that he is a judge and. as such, may be expected to adhere to a certain standard of personal conduct and behaviour to all members of the public." Ali agreed and upheld the complaint that the Judicial Office had breached their own rules. Accused of insensitivity over disability. A disabled woman complained about a judge who, she claimed, ignored her medical condition. The woman said that the judge did not consider her "mental and physical disabilities and current aggressive medical treatment". The Judicial Office kicked out the complaint because it was "primarily about judicial decisions". But Ali found that the Judicial Office rules were breached because the complaint also related to the judge's conduct so should have been investigated. She also said that "further investigation" would be needed to establish if the judge had been insensitive. However, Lord Gill disagreed with Ali's opinion. Watchdog Moi Ali slates the legal jargon which is used to deter ordinary Scots from complaining about judges. 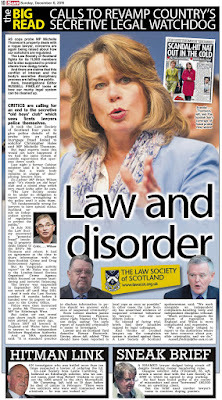 She fears the complex Judicial Office for Scotland rules are not fit for purpose. She said ; "If you have a set of rules that you can pick up and not understand, then they can't be fit for purpose. And the public don't understand. They are not written in any understandable way. I don't understand the purpose of some of the rules and some of them are cross-referenced with Acts of Parliament." Ali has submitted a damning 25 page report to Scotland's top judge, Lord President Lord Gill, who is reviewing the rules. In it, she says : "One of my principal concerns relates to the style and tone of the rules and the way in which they have been constructed, giving an impression that they are devised to deter people from complaining, to find reasons to reject a complaint at the earliest opportunity and to over-protect the judiciary." She cites numerous examples of archaic language which many people would struggle to understand. For example, Section 5.4.b states : "If sent by electronic means indicated to be acceptable a document is to be treated as valid only if it is capable of being used for subsequent reference." Ali has urged Lord Gill to bring in new rules which will be "fair, proportionate, transparent and easy to understand." 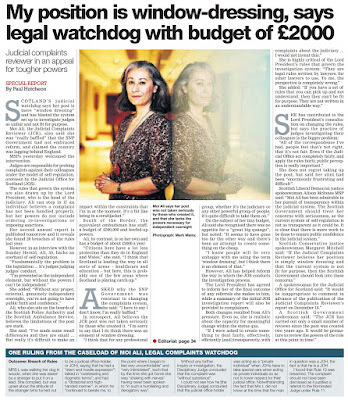 SCOTLAND'S judicial watchdog says her post is mere "window dressing" and has blasted the system set up to investigate judges as unfair and not fit for purpose. Moi Ali, the Judicial Complaints Reviewer (JCR), also said she was "really baffled" that the SNP ­Government had not embraced reform, and claimed the country was lagging behind England. MSPs yesterday welcomed the intervention. 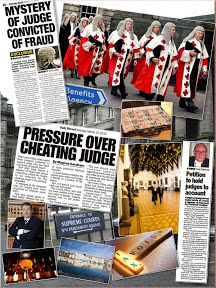 Judges are responsible for ­probing complaints against their colleagues under the model of self-regulation, overseen by the Judicial Office for Scotland (JOS). The rules that govern the system are also drawn up by the Lord President, who is the head of the judiciary. Ali can step in if an ­individual believes a complaint has not been handled properly, but her powers do not include ­ordering ­re-investigations or ­imposing sanctions. Her second annual report is published tomorrow and it reveals she found 20 breaches of the rules last year. However, in an interview with the Sunday Herald, Ali, 50, backs an overhaul of self-regulation. "Fundamentally the problem is the legislation ... it's judges judging judges' conduct. "I'm presented as the ­independent element, but without the powers I can't be independent." She added: "Without any proper, external, genuinely independent oversight, you're not going to have public faith and confidence." Ali, who also sits on the boards of the Scottish Police Authority and the Scottish Ambulance Service, believes the limitations of the post are stark. She said: "I've made some small differences and they are small ... But really it's difficult to make an impact within the constraints that I'm in at the moment. It's a bit like being in a straitjacket." 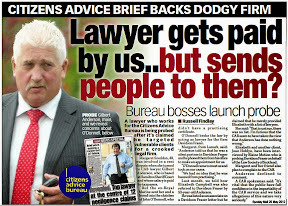 South of the Border, the ­equivalent ombudsman has staff, a budget of £500,000 and beefed-up powers. Ali, by contrast, is on her own and has a budget of about £2000 a year. "Citizens here have a lot less protection than they do in England and Wales," she said. "I think that Scotland is leading the way in all sorts of areas - healthcare and education - but here, this is probably one of the few areas where Scotland is playing catch-up." Asked why the SNP Government was ­resistant to changing the complaints system, she said: "I have to say I don't know, I'm really baffled." In retrospect, Ali believes the JCR post was not taken seriously by those who created it. "I'm sorry to say that I do think there was an element of window dressing. "I think that for any professional group, whether it's the judiciary or any other powerful group of people, it's quite difficult to take them on." On the subject of her tiny budget, Ali said she recognised there was no appetite for a "great big quango", but noted: "It seems to have gone too far the other way and there's been an attempt to create something on the cheap. "I know people will be very unhappy with me using the term 'window dressing', but I think there is an element of that." However, Ali has helped reform the way in which the JOS conducts the investigation process. The Lord President has agreed to inform her of the final outcome of any referrals she makes to him, while a summary of the initial JOS investigation report will also be provided to complainers. Both changes resulted from Ali's pressure. Even so, she is realistic about the capacity for meaningful change within the status quo. "If I were asked to create something to deal fairly, effectively, efficiently [and] transparently, with complaints about the judiciary ... I would not invent this." She is highly critical of the Lord President's rules that govern the investigation system: "They are legal rules written by lawyers, for other lawyers to use. To me, the perspective is completely wrong." She added: "If you have a set of rules that you can pick up and not understand, then they can't be fit for purpose. They are not written in an understandable way." "All of the correspondence I've had, people feel that's not right, that it's not fair. Even if the Judicial Office act completely fairly, and apply the rules fairly, public perception is really important." She does not regret taking up the post, but said her stint had been "enormously frustrating and difficult". Scottish Liberal Democrat justice spokeswoman Alison McInnes MSP said: "Moi Ali has been admirable in her pursuit of transparency within the judicial system. The ­Scottish Government should treat her concerns with seriousness, as the current system of self-regulation is not as transparent as it could be. It is clear that there is more work to be done to ensure public confidence in the judicial system." Scottish Conservative justice spokeswoman Margaret Mitchell said: "If the Judicial Complaints Reviewer believes her position is simply window dressing and that the current system is not fit for purpose, then the Scottish Government should look into these concerns." A spokeswoman for the ­Judicial Office for Scotland said: "It would be inappropriate to comment in advance of the publication of the Judicial Complaints Reviewer's report on December 16." A Scottish Government ­spokesman said: "The JCR has carried out only a small number of reviews since the post was created two years ago. It would be premature to review the powers of the role at this point in time." WHAT’S THE POINT OF A WATCHDOG WITHOUT TEETH? A watchdog probing complaints about judges yesterday urged Justice Secretary Kenny MacAskill to give her some real bite. 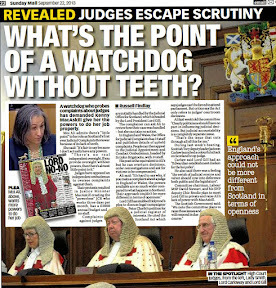 Moi Ali admits there’s “little point” to her role as Scotland’s first ever Judicial Complaints Reviewer because of its lack of teeth. Judges have opposed an independent ombudsman to oversee complaints against them. Their protests resulted in Justice Minister MacAskill creating the “powerless” JCR who works three days per month, has a £2000 annual budget and no staff. 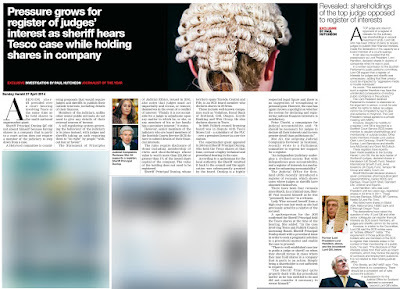 Complaints against judges are initially handled by the Judicial Office for Scotland, which is headed by the Lord President Lord Gill. The complainer can ask Ali to review how their case was handled - but she can take no action. In England and Wales, the Office for Judicial Complaints has 15 staff and publishes details of upheld complaints. 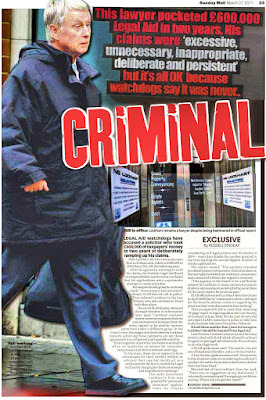 People can then appeal to the Judicial Appointment and Conduct Ombudsman, headed by Sir John Brigstocke, with 14 staff. His post is the equivalent to Ali’s but he can overturn decisions, order reinvestigations and ask for victims to be compensated. 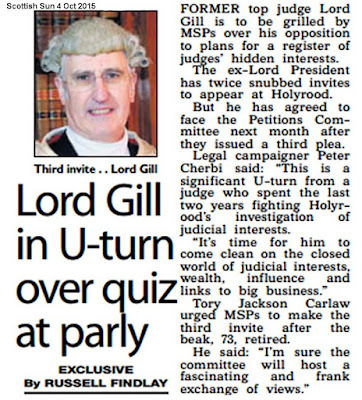 Lord Gill has snubbed Holyrood’s plea to discuss legal campaigner Peter Cherbi’s petition for a judicial register of interests. He cited the Scotland Act which says judges can’t be forced to attend parliament. But critics say the Act only refers to judges’ courtroom decisions. Ali last week told the committee: “Clearly politicians should have no part in influencing judicial decisions. But judicial accountability is a completely separate issue. During last week’s hearing, Scottish Tory deputy leader Jackson Carlaw launched a colourful attack on Scotland’s top judge. Carlaw said Lord Gill had an “Edwardian establishment disdain for the hoi polloi”. He also said there was a feeling “the swish of judicial ermine and velvet should cow into deference both public and the legislature”. Committee chairman, Labour MSP David Stewart, and his SNP deputy Chic Brodie plan to meet Lord Gill in private and raise Ali’s lack of power with MacAskill. 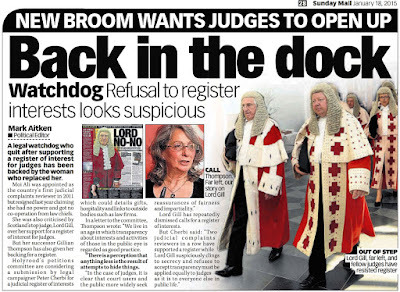 May the watchdog appointed by the Scottish Government to investigate complaints against judges have leave to approach the bench, Your Honours? 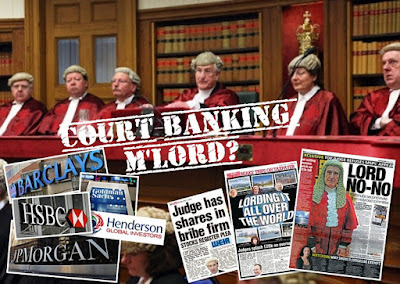 SILENCE IN COURT Lord Gill has not met judicial investigator so far. A watchdog appointed to look into complaints against Scotland's judges fears she is being frozen out. Moi Ali has accused the country's most senior judge, Lord President Lord Gill, of undermining her work by blocking access to vital documents. She revealed her frustration in her first annual report since taking up the newly-created role of Judicial Complaints Reviewer. Ali said she was only seeing the correspondence between the Judicial Office, who act for the judges, and the complainers. But she was not allowed to see the internal memos and reports between the office and the judges about complaints. She said: "I believe that in order to conduct a review, and to make wider recommendations on complaints handling, I need to see files in their entirety. "Without this, it is difficult to satisfy myself, let alone complainers, as to the fairness of the process. "I have continued to complete reviews but have made it clear to complainers that I have not had access to all documentation in their complaint file." Justice Secretary Kenny MacAskill defied judicial opposition to create the part-time job to monitor how complaints against judges, sheriffs and justices of the peace are handled. And Ali fears there is still resistance from within the judiciary to her role as an independent investigator. She said: "With any profession, there's a feeling that regulation should come from within. "But this is the first time that the judiciary have been exposed to this kind of scrutiny, which other professional groups are more used to. "Most have accepted there is some kind of mechanism to scrutinise their conduct. That doesn't mean that we don't have a free and independent judiciary." Ali also revealed that she has still not met 70-year-old Lord Gill, who was appointed to his £214,165-a-year post last June, and did not meet his predecessor Lord Hamilton. She said: "I'm not overly concerned but I'm slightly surprised that the Lord President did not proactively suggest a meeting. I don't need to meet him but I think it would have sent out a positive message." Ali is more concerned at the decision to block her access to documents. She said: "This came to light because in review number one I was sent all the documents but then I didn't get the same ones for the second review. "At that point I discovered that I had been given them in error the first time. "I can't see any reason why and that worries me because I can't understand it." Ali also voiced concerns that judges being investigated could evade punishment by quitting before the probe is complete. And she found there has been a breach in the rules in the way one of the four complaints she reviewed had been handled. Ali also urged the judiciary staff to use plain English when dealing with the public. Her lack of administrative support was also highlighted - on her first day, she did not have a computer, printer, phone, email address or stationery - and she said it meant she was "unable to give the level of service that I would like to provide". A Judicial Office for Scotland spokeswoman said: "In the short time the JCR has been in the post, we have worked very closely with Ms Ali in implementing, developing and reviewing the rules and how they are applied. "With any new system, there is always a period of adaptation and adjustment and we are grateful to Ms Ali for the helpful suggestions and recommendations she has put forward and which, for the most part, have been implemented. "A review of the rules is due to take place shortly and the Lord President is committed to working constructively to ensure the complaints procedure develops effectively." 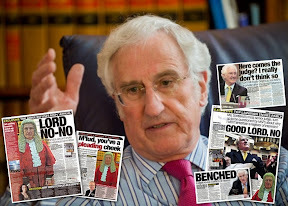 Lord Gill has rejected calls for judges to register their interests - because he fears they may be harassed by "aggressive media". A petition lodged with the Scottish Parliament is calling on the judiciary to reveal any commercial, business or legal links in case they raise possible conflicts with their cases. But in a letter to the public petitions committee, Scotland's most senior judge said current safeguards are enough. 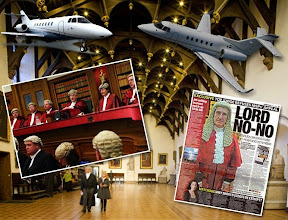 Lord Gill said: "In practical terms, it would be impossible for all judicial office holders to identify all the interests that could conceivably arise in any future case. "The terms of the judicial oath and the statement of principles of judicial ethics ensure that such a difficulty does not arise and that the onus is on the judicial office holder to declare any interest at the outset." He said details held on a register could be abused by "aggressive media or hostile individuals, including dissatisfied litigants". The call for a register has also been rejected by the Law Society of Scotland. 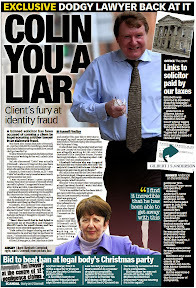 Scottish Minister refused to disclose secret legal advice on judges interests. A SCOTTISH Parliament Committee has been asked to recall Legal Affairs Minister Paul Wheelhouse to face questions on secret legal advice commissioned by the Scottish Government on proposals to create a register of interests for the judiciary. 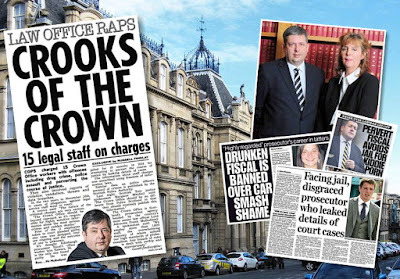 The existence of the secret legal advice - compiled while Lord Brian Gill was head of the Scottish judiciary – and effectively head of the entire justice system - came to light after details obtained via Freedom of Information legislation were handed to MSPs. The request to recall the Legal Affairs Minister to face questions from the Scottish Parliament’s Public Petitions Committee comes after Paul Wheelhouse refused to discuss or disclose the content & provider of the secret legal advice - with MSPs who are investigating Petition PE1458: Register of Interests for members of Scotland's judiciary. The judicial transparency proposal calls for the creation of a publicly available register of judicial interests containing information on judges backgrounds, their personal wealth, undeclared earnings, business & family connections inside & outside of the legal profession, offshore investments, hospitality, details on recusals and other information routinely lodged in registers of interest across all walks of public life in the UK and around the world. 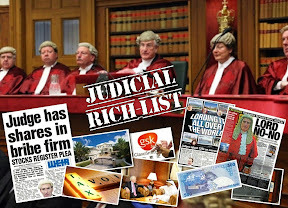 While the content of the legal advice is currently unknown – it is thought to have played a role in the Scottish Government’s efforts to undermine MSPs investigations into plans to require judges to declare their vast wealth, links to big business & other interests. There are concerns as to why the Scottish Government commissioned the secret legal advice on a petition calling for a register of judicial interests, and then failed to mention the existence of the advice during letters from Scottish Ministers including former Justice Secretary Kenny MacAskill - to the Public Petitions Committee during MSPs investigation of the petition. 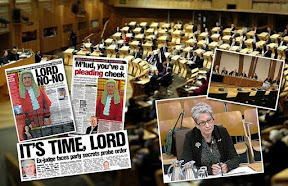 The existence of the secret legal advice was also concealed by Scottish Ministers during a full Parliamentary debate on the petition at Holyrood last October 2014 – reported with video footage of the debate, here: Debating the Judges. 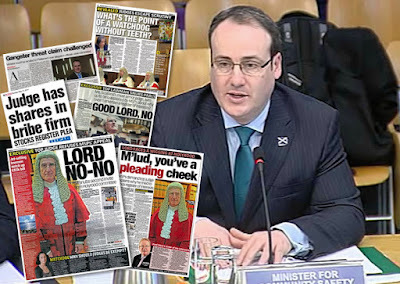 And, Legal Affairs Minister Paul Wheelhouse did not reveal the existence of the key legal advice on judicial interests during an evidence session he attended at Holyrood in December 2014 – in which the Minister claimed gangster threats meant there could be no register for judges. An investigation by the Sunday Herald newspaper later established the Legal Affairs Minister misled the Committee, and no such gangster threats Mr Wheelhouse referred to in evidence, were ever made. Writing to the Petitions Committee, the petitioner has now sought the recall of Mr Wheelhouse. MSPs on the Public Petitions Committee requested details relating to the legal advice after they were handed details obtained via Freedom of Information legislation - revealing the Scottish Government had secretly commissioned legal advice on the petition. The subject of the Scottish Government’s legal advice was discussed during an evidence session at Holyrood on 23 June 2015 where MSPs heard from Scotland’s current Judicial Complaints Reviewer (JCR) Gillian Thompson OBE – who told MSPs she fully supports the creation of a register of judicial interests. After taking evidence from Gillian Thompson, Petitions Committee member & Independent MSP John Wilson called for “clarification of when that legal advice was sought and why the Government felt it necessary to seek that advice”. 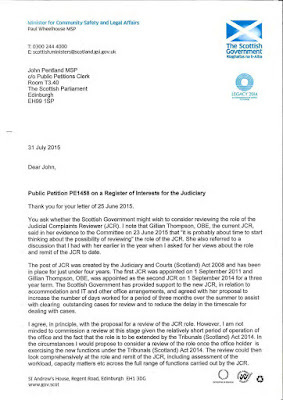 Since the Petitions Committee asked to see the Scottish Government’s legal advice on judicial interests, it has now been established via an on-going Freedom of Information investigation that Lord Gill may also have taken legal advice on the petition. 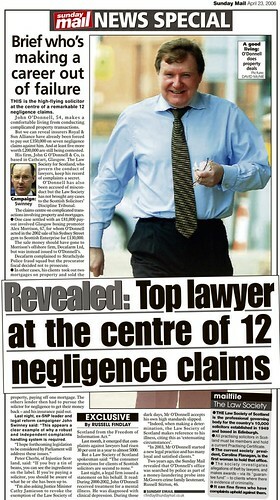 Given the legal advice obtained by the Scottish Government was compiled while Lord Brian Gill was head of the Scottish judiciary – it would be surprising if the provider of the legal advice disagreed with Lord Gill’s policy of opposition to the petition and any increase in judicial transparency & accountability. After the top judge suddenly retired in May 2015, quitting office after he gave 30 days notice, Gill (73) remained bluntly opposed to any moves to compel judges to declare their interests. 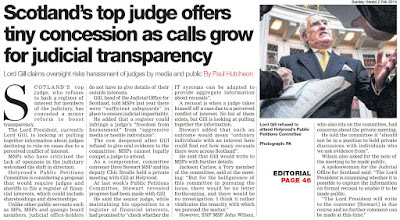 The top judge – who spent two of his short three year term as Lord President leading a bitter campaign against plans to require the judiciary to declare their vast wealth & business interests - wrote a series of terse letters to MSPs lobbying against the judicial transparency proposal. 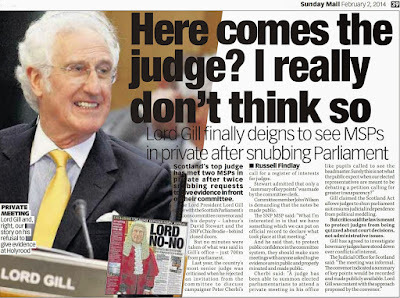 Lord Gill – branded “Lord No-No” for refusing to give evidence at Holyrood – lashed out in letters at the media, litigants, court users & the public, describing all as “aggressive” – in an attempt to shut down an investigation by Holyrood MSPs of judicial vested interests and calls for highly paid judges to register their interests like all others in public life. At one point, Gill implied he may have to consider restricting the judiciary’s interaction with Scottish Parliamentary Committees. And, in the same letter, the Lord President claimed judges could not be hauled before the Scottish Parliament due to loopholes in the Scotland Act . Justice Diary recently revealed Lord Brian Gill emerged from his brief summer retirement - taking up an appointment as a supplementary panel judge at the London based UK Supreme Court. In a double blow to judicial transparency, Legal Affairs Minister Paul Wheelhouse also told MSPs he did not think four years was long enough to conduct a review of the role of Judicial Complaints Reviewer (JCR). The Minister’s refusal to commission a review of the office & powers of JCR comes after the current JCR Gillian Thompson called for a review of the role. 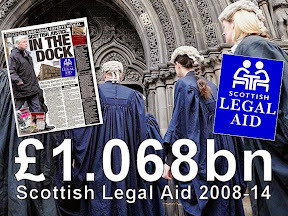 Earlier this year it emerged a secret meeting was held in February between Legal Affairs Minister Paul Wheelhouse and Lord Gill during February - to discuss joint efforts between the Scottish Government and senior judicial figures to undermine proposals for increased judicial transparency. From Qatar to Holyrood - Lord Gill to give evidence on judicial register. SCOTLAND’S former top judge who led a bitter two year fight against proposals to create a register of judges’ interests – has finally agreed to face questions on his opposition to transparency and disclosure of judicial wealth & links to big business - at the Scottish Parliament next month. 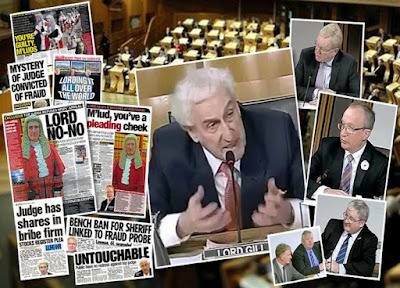 Lord Brian Gill (73) – Scotland's longest serving judge who suddenly retired as Lord President in May - giving only 30 days of notice after serving three years in the post, will appear before Holyrood’s Public Petitions Committee on 10 November 2015. 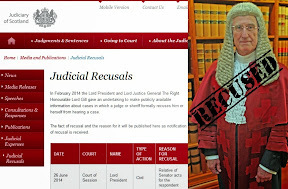 The former Lord President will face the same committee he twice refused to attend to give evidence and answer questions on the judiciary’s opposition to Petition PE1458: Register of Interests for members of Scotland's judiciary. 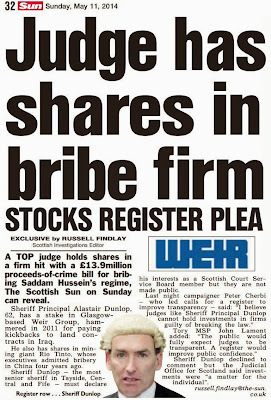 During the two year investigation by MSPs on calls to bring the judiciary into line with all others in public life who are required to declare their interests, Lord Gill waged a bitter, letter-only campaign against the notion judges could be required to declare their vast wealth, connections to the professions & links to big business. 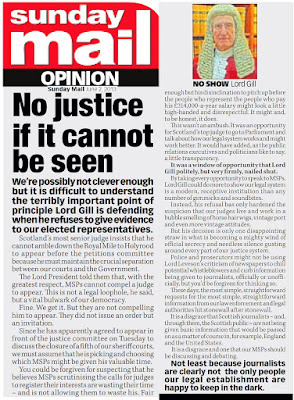 In a series of terse written letters to the Public Petitions Committee, Gill condemned the media, litigants, court users, branding all a threat to judges’ privacy, insisting there would be no deal to declare judges interests. 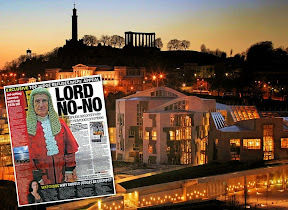 The top judge went on to imply he may be forced to restrict judges interaction with Holyrood committees, using loopholes in the Scotland Act to claim members of the judiciary could not be forced to give evidence in public if they did not want to. 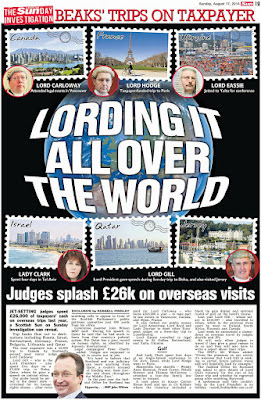 Lord Gill then embarked on a 5 day state visit to the middle eastern dictatorship of Qatar (among a slew of overseas junkets) – preferring to mingle in the company of politicians & prosecutors from a country condemned for its use of slave labour & abuse of human rights - instead of showing up at the Scottish Parliament to answer questions on vast undeclared judicial wealth, links to professions & banks, tax dodging, concealed investments in huge property empires, crime & unchecked power. While in Qatar, Gill toured a motor museum, and was photographed attending organisations accused of being funding fronts for Qatar to influence international politics, business & wars around the world. 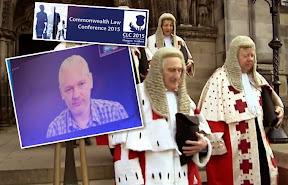 And, in yet another act of defiance against calls for openness, the aging Lord Gill blasted elected politicians and transparency itself as an “insidious threat” to the judiciary - during a speech at the Commonwealth Law Conference 2015 held in Glasgow earlier this year. In the same speech, the 73 year old judge went on to joke about two individuals who were allegedly protesting against the top judge “standing perhaps appropriately, at the Heart of Midlothian, the scene of public executions in Edinburgh in former times”. The proposal to require all members of the judiciary to declare their interests gained cross party support from msps during a debate on the petition - held at the Scottish Parliament on 7 October 2014. The Parliamentary debate, including video footage and the official record, was reported in the media, and on Justice Diary here: Debating the Judges. 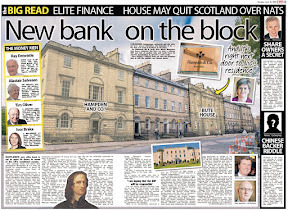 During the debate, MSPs openly joked it may have been easier to visit Qatar and get answers from Gill than bring him before the Scottish Parliament – only a few steps down the Royal Mile from Gill’s seat of power – Parliament House. As MSPs made their speeches – mostly in favour of the creation of a register of judicial interests, Gill’s refusal to attend the Scottish Parliament came in for heavy criticism. Upon the debate’s conclusion, MSPs overwhelmingly supported a motion urging the Scottish Government to create a register of judicial interests. 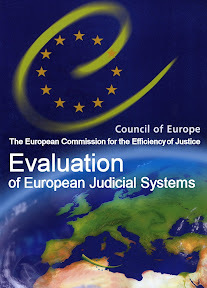 Scotland’s first ever Judicial Complaints Reviewer (JCR) - Moi Ali supported the judicial transparency proposal during a must watch evidence session held at Holyrood in September 2013. Current JCR Gillian Thompson OBE gave further support for the plan to create a register of interests for judges during a recent evidence session at Holyrood in June 2015. 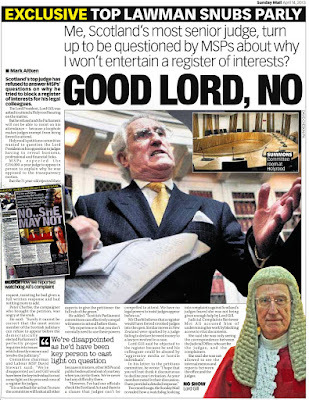 FORMER top judge Lord Gill is to be grilled by MSPs over his opposition to plans for a register of judges' hidden interests. 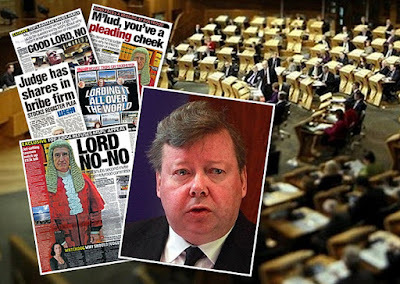 The ex-Lord President has twice snubbed invites to appear at Holyrood. But he has agreed to face the Petitions Committee next month after they issued a third plea. Legal campaigner Peter Cherbi said: "This is a significant U-turn from a judge who spent the last two years fighting Holyrood's investigation of judicial interests. "It's time for him to come clean on the closed world of judicial interests, wealth, influence and links to big business." Tory Jackson Carlaw urged MSPs to make the third invite after the beak, 73, retired. He said: "I'm sure the committee will host a fascinating and frank exchange of views." 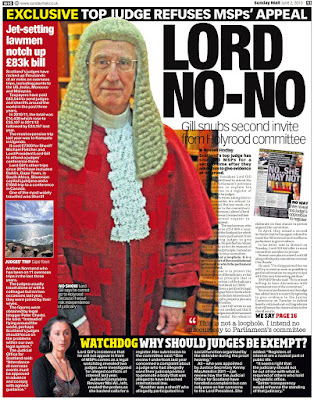 Former top judge Lord Gill will finally be quizzed by MSPs on his opposition to his colleagues' business and financial secrets being made public. Lord Gill retired as Lord President of the Court of Session at the end of May. 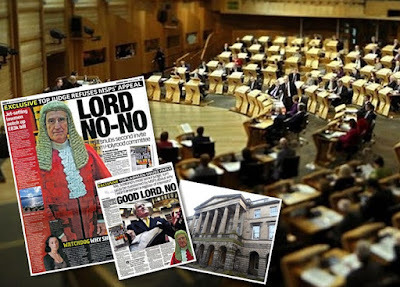 He was dubbed "Lord No-No" for snubbing requests to appear before Holyrood's petitions committee, who are considering a submission by campaigner Peter Cherbi for a judicial register of interests. Details could include gifts, hospitality, property, shares, criminal convictions and links to outside bodies such as law firms. Lord Gill twice declined to appear before the committee, citing the need for judicial independence from political interference. But his retirement from the bench means he will now give evidence at Holyrood on November 10. "The judiciary must be brought into line with the 21st century whether they like it or not." Committee member John Wilson MSP said: "It is disappointing he has taken the decision to appear before the committee when he effectively no longer has any influence on the judiciary." ONE of the country’s top judges has finally bowed to pressure by agreeing to give evidence to a Holyrood inquiry on the creation of a judicial register of interest. 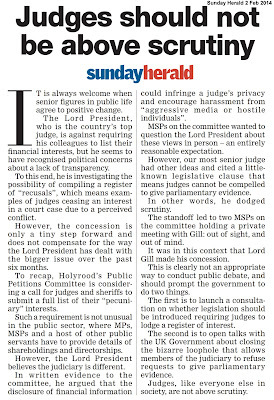 Lord Gill, who recently retired as Lord President, had twice snubbed calls to face MSPs but will be grilled on the contentious subject next month. Currently, a range of senior public sector figures, including MSPs, MPs, councillors and public board members, must provide details of directorships or shareholdings, but judges and sheriffs are under no such obligation. Members of the judiciary are instead require to 'recuse' - or excuse - themselves from cases where there might be a potential conflict of interest. Campaigner Peter Cherbi tried to plug the loophole by tabling a petition to Holyrood that would require judges to declare their pecuniary interests. 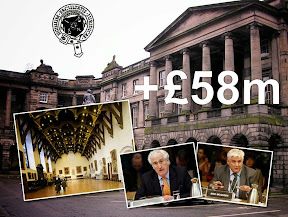 However, Gill, who as Lord President was the most senior judge north of the border, submitted written evidence to Holyrood’s Public Petitions Committee opposing the plan. "The establishment of such a register therefore may have the unintended consequence of eroding public confidence in the judiciary." However, Lord Gill then refused invitations by the Committee to explain his written evidence in person in front of MSPs. He told Holyrood that the legislation that created the Parliament contained a provision that meant judicial officer holders could not be required to give evidence. He instead agreed to a private meeting with senior members of the committee. After Gill retired earlier this year, MSPs invited him to give evidence for a third time. Gill has agreed and will face MSPs on November 10. 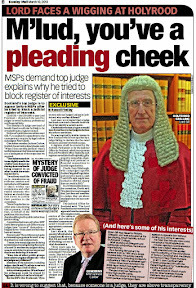 Cherbi said: “Now that Lord Gill cannot hide behind the rank of Lord President and refuse to attend the Scottish Parliament, it will be interesting to hear how Scotland’s longest serving judge attempts to justify a judicial exemption against transparency when openness is supposedly a pre requisite for all others in our courts and justice system.